Get ready for two of the smartest lightweight travel trailer models on the market today. Coachmen Apex Ultra Lite and Coachmen Apex Nano Travel Trailers are easy to tow, constructed with longevity in mind and offer a number of customer friendly features that are unique to this quality brand. Here, we’ll take a look at some of the major stand out features these two Apex RV Brands have to offer. For starters, the Apex Ultra-Lite RV is constructed using Coachmen RV’s exclusive Adzel Composite fiberglass sidewall system. This long lasting material contains no wood, making it impervious to rot, mold and other types of water damage. Plus, the Adzel material is 50% lighter and has 3X better insulation factors compared to fiberglass sidewalls containing wood. 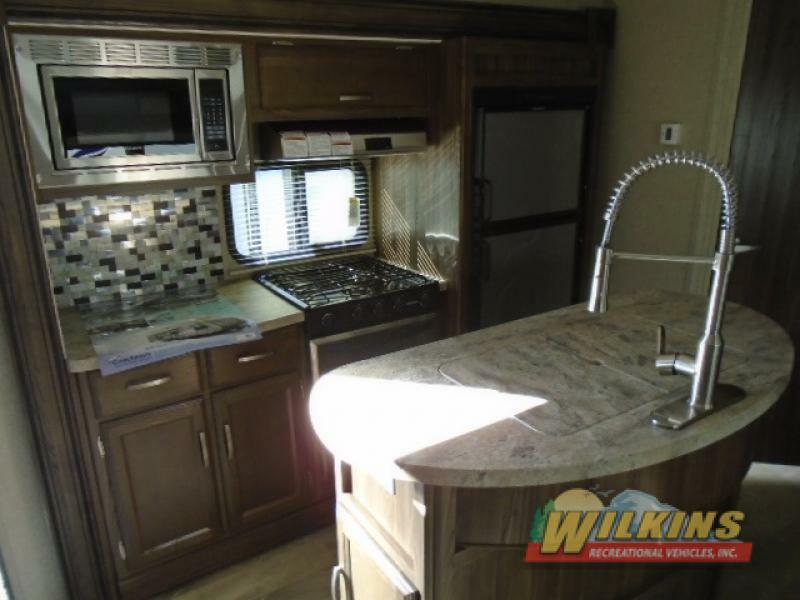 Coachmen RV has gone the extra mile designing a lightweight travel trailer that is made to last. From mounting the spare tire under the trailer to take extra weight off the bumper, to the laminated A/C ducting in the roof preventing mold, to the aluminum reinforced laminated roof and Darco waterproof floor wrap for added protection, the Apex is a quality investment. Inside, you are greeted by a warm and welcoming interior with residential style seating options and a beautifully crafted kitchen with seamless countertops and ambrosia ash cabinetry. In the master bedroom you will find a true 60″x 80″ residential queen sized bed to ensure a good night’s sleep. Welcome to your home away from home! 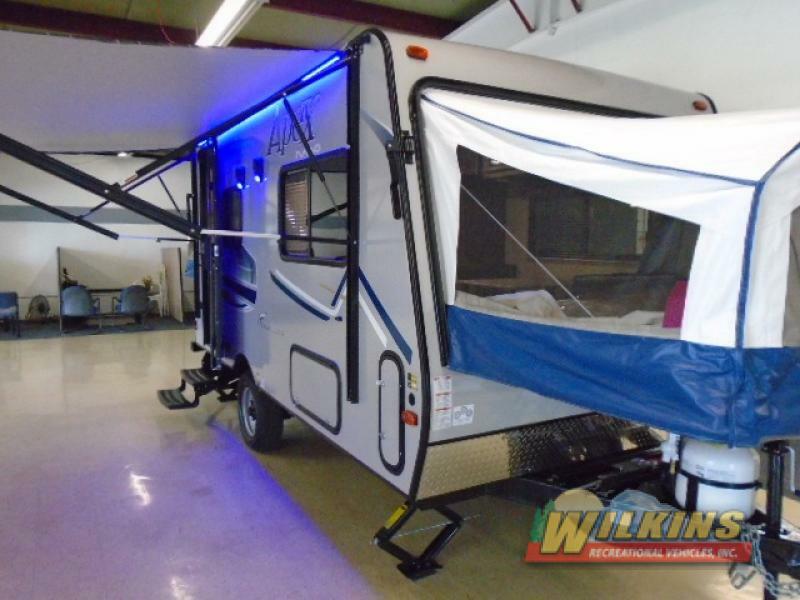 Also built using vacuum bonded Azdel fiberglass sidewalls and welded aluminum frame, the Apex Nano RV is a more compact variation of the Apex Ultra-Lite. Most models weigh in at under 3500 pounds dry weight, making them easy to tow by midsized SUVs and light trucks. These user friendly weekend getaway campers are a fun option for couples and small families looking for a reliable travel trailer with an extra touch of class. The Apex Nano is even available in a hybrid camper option, the Apex Nano Expandable RV. 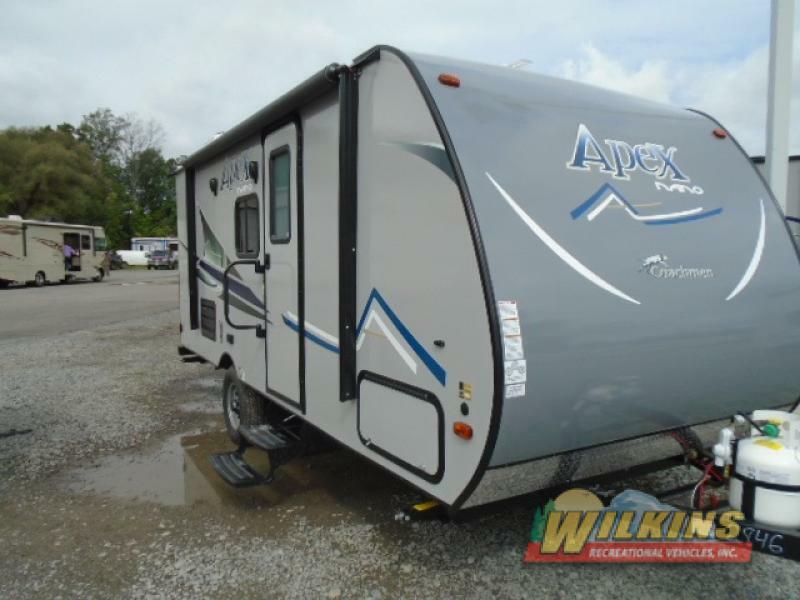 With a dry towing weight of only 2920 pounds, the family friendly Apex Nano 15X sleeps up to 6 happy campers. 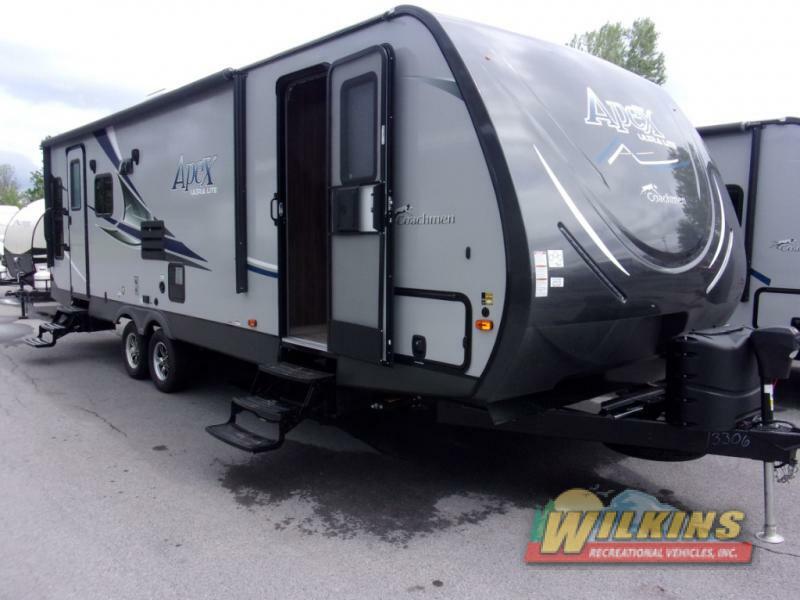 Contact Us for a tour of the large selection of Coachmen Apex RV Models available at Wilkins RV. You can’t go wrong with this well built, lightweight and comfortable camper!